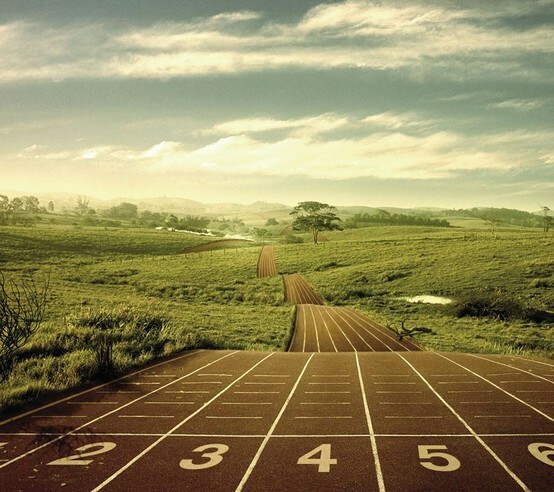 If grad school were a mile, I'd already be once around the track. This thought makes me feel somewhat accomplished and somewhat sad. I just started, didn't I? p.s. Doesn't this look like the coolest track ever? I don't think it exists, but I wish it did. p.p.s. Melissa recently brought it to my attention that I quantify everything. I hadn't thought about this before, but she is totally right. I make up fractions and percentages and use them to make sense of the world. I haven't run track in ages, but I still make sense of progress by comparing it to distance travelled on a rubbery red oval. p.p.p.s. Thinking about setting a Christmas break goal to blog every day. This might be too daunting a task, but it might finally get me back into blogging on a regular basis. Thoughts?